Heartache has never looked so beautiful. 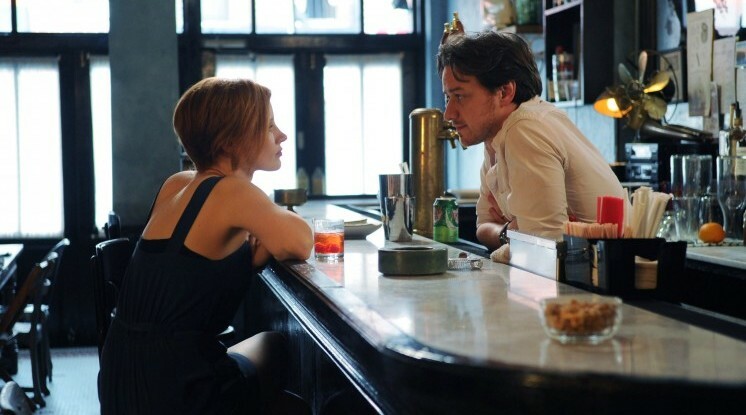 Ned Benson makes his filmmaking debut with an audacious splash, releasing The Disappearance of Eleanor Rigby as not one film, but three. The writer-director debuted two other versions of the movie, subtitled Him and Her (told from the male and female protagonist’s perspectives, respectively), at the Toronto International Film Festival last year. The Weinstein Company picked up distribution rights for the films to the tune of $3 million and will release Him and Her together in art house theaters. It’s a compelling experiment. For now, we have the more conventional Them. As the third part of Benson’s thesis, it truncates and combines the perspectives of the first two films. Benson puts a complicated spin on the romance genre. His film isn’t quick to divulge its secrets. Early scenes are purposely disjointed. Details come into focus slowly. We don’t explicitly learn important facts – like the relationship between the main characters – until roughly halfway through the film. And Eleanor’s “disappearance,” which is more emotional than physical, isn’t explained before the film’s final moments. All this confusion is strangely seductive. In Them, style gels excellently with subject. The film thrives on its heavy, ethereal atmosphere. We follow the characters as if in a dream. This is thanks largely to Christopher Blauvelt’s cinematography, which captures New York in gorgeously hazy, soft-focus images. Son Lux’s ambient musical themes swell whenever the estranged couple are near each other. His score is pained and simple, a sonic current that guides the audience. Jessica Chastain sutures everything together. She bares Eleanor’s soul in the truest sense. She wears every emotion in her eyes. Eleanor yearns for an anchor to try to make sense of her world again. Chastain moves nimbly through her harrowing canyons of grief. She makes you hurt and care for her story. The film is not quite as consistently organic. Benson’s motives are too apparent. As an auteur, he is ever-present but not always invisible. His script does a nice enough job balancing the dual perspectives that I didn’t find myself wondering which parts of Him or Her were paired down to form Them. Still, his dialogue shifts oddly between stilted and subtle which does break immersion. At times it seems the characters are reading philosophical cue cards. At others, they share insights that couldn’t sound more devastatingly candid. Eleanor’s mother tells her “I don’t want you take our relationship too personally.” The sentiment is so cold it’s jarring. Benson weaves an oversized grab-basket of emotional tensions. When the film isn’t focusing on Eleanor, it drifts to character arcs that aren’t as convincing. In particular, Connor’s (James McAvoy) strained relationship with his father parallels Eleanor’s strange mother-daughter dynamic a little too well. Eleanor’s Professor Friedman (Viola Davis) is similarly underdeveloped. She is estranged from the idea of having children, and equally cynical in her views on relationships. Most of the supporting cast is pigeonholed into these trite sob story side plots. They’re all earnestly presented, but don’t do much except offer unneeded supporting arguments to the notion of universal pain. Thankfully the film invests most in the loneliness beneath the protagonists’ love. It takes careful time to reveal the circumstances that broke them apart. Yet when we do finally learn the truth, it doesn’t explain away anything that transpires before that point. Benson doesn’t use the reveal to dismiss or excuse any of the characters’ rash decisions. He resists the urge to paint either main character as a moral authority, and show us two people struggling for resolution in the face of chaos. Eleanor and Connor remain real people and don’t devolve into melodramatic caricatures. A woman searches for a compassion that an unnatural tragedy has stolen from her. A man searches for a connection that may have faded away. Best of all is that Ned Benson never gives us answers. Instead, he paints in broader, vaguer strokes, devoting himself to a reality that brushes your hand like a stranger in a crowded city. This debut poses questions that ache, and by the time you’ve traced its footsteps through that sad urban nighttime, the film has already disappeared.